SPRING BREAK!!!! 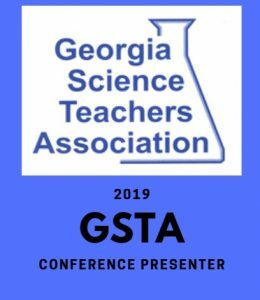 A time that teachers look forward to each year and parents look for fun and creative ways to keep their kids entertained! Are you looking for activities to do? 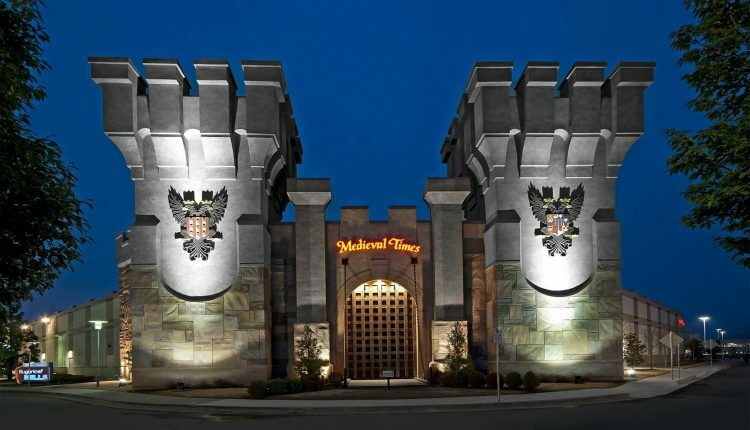 Medieval Times Castle in Atlanta is the perfect place to head to and they have got some great deals in store for you! 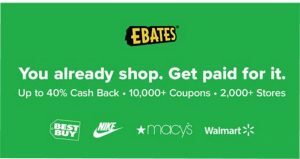 Right now you can get a Spring Break discount with code SB18. 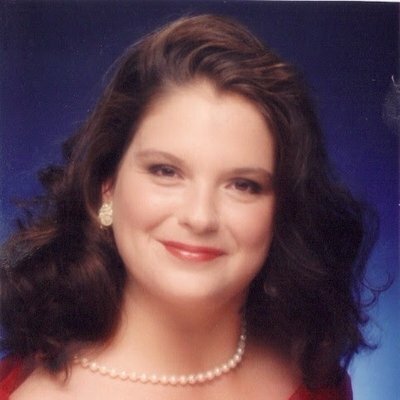 That means adults will only cost $38.95 and Kids & Students will be #30.95. 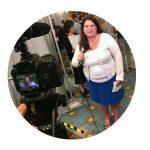 Got a kid in college? The kid price applies to them as well. 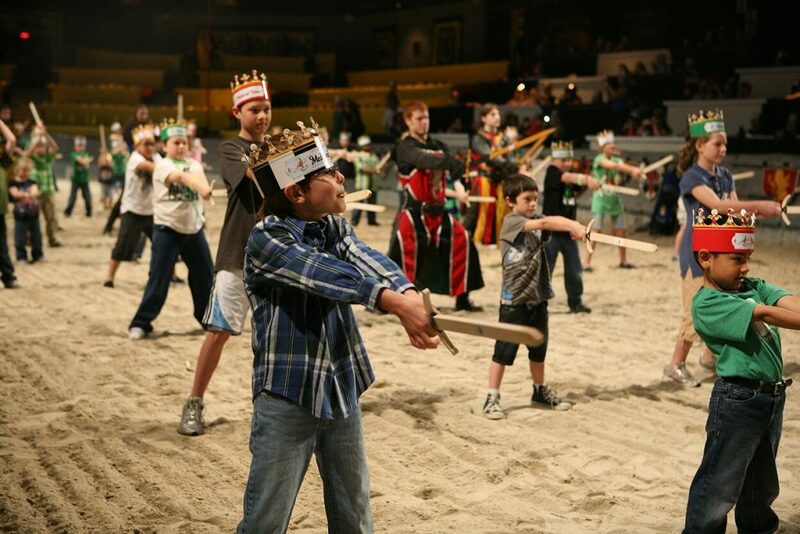 If you have not been to Medieval Times in a while, you need to head back and check out the Junior Knight Training! It’s free with each child admission. 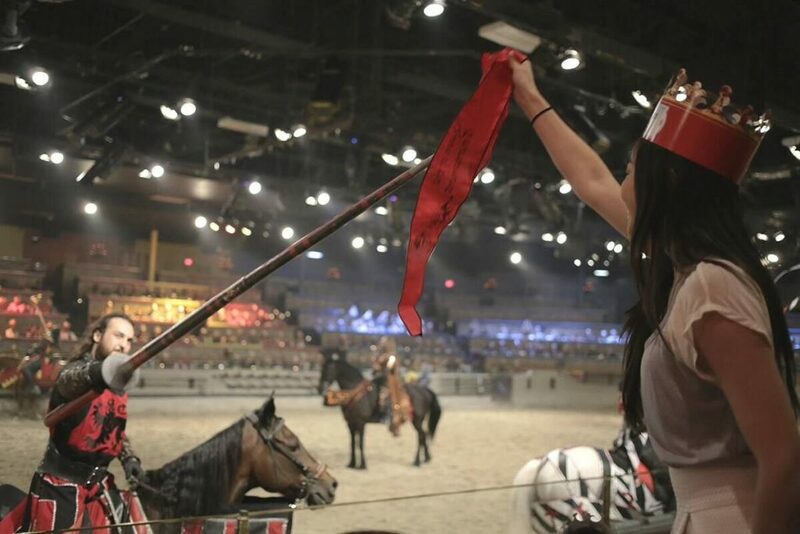 Kids ages 5-12 can step into the arena with the Knights of Medieval Times and train to become honorary knights of the realm. Doors open 90 minutes prior to show time. Training begins 60 minutes prior to show time. Training is open to both boys and girls. Closed-toe shoes are required to participate. 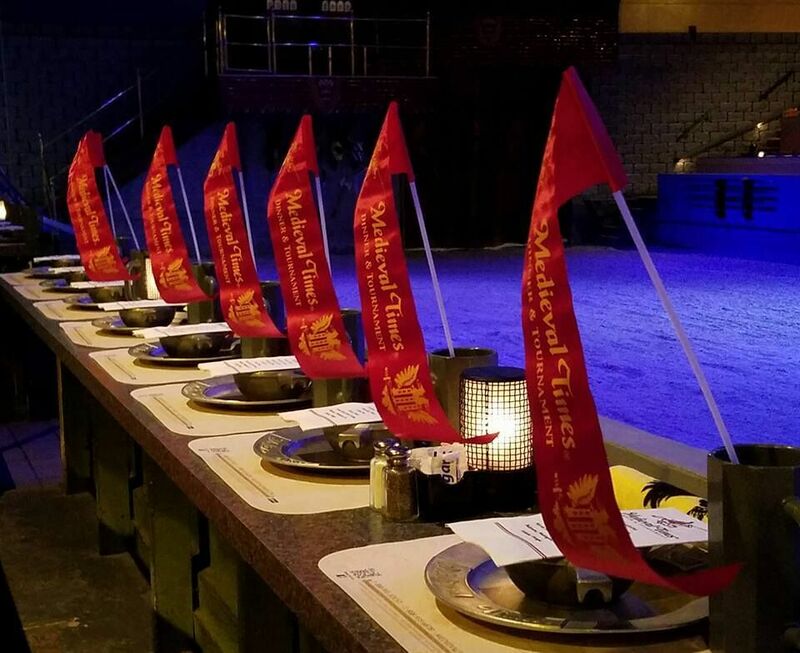 Medieval Times has an awesome reputation for being family friendly. They want everyone to enjoy themselves and be part of the story. 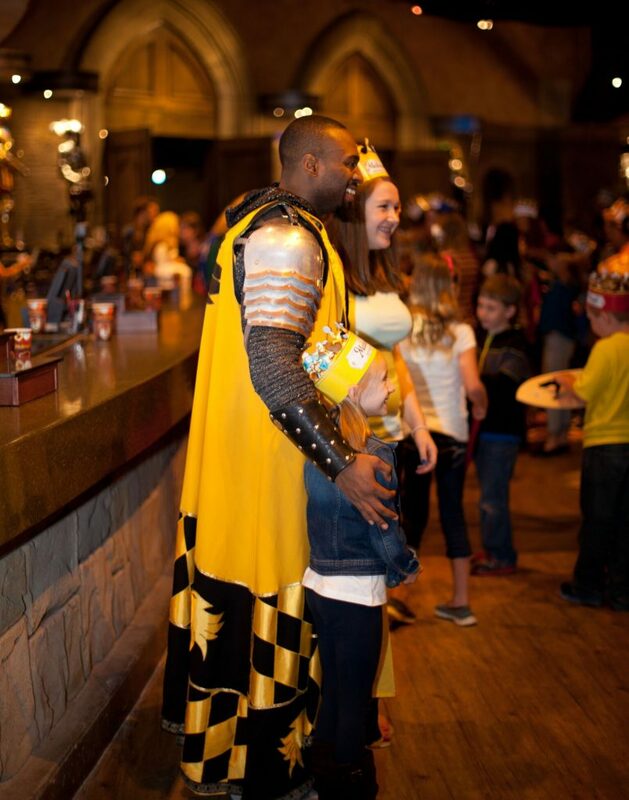 Medieval Times is a FUN family-centered attraction. Everyone in the family can enjoy it from the kids to the grandparents! We have had the opportunity to visit here on several occasions, and we always leave highly satisfied! 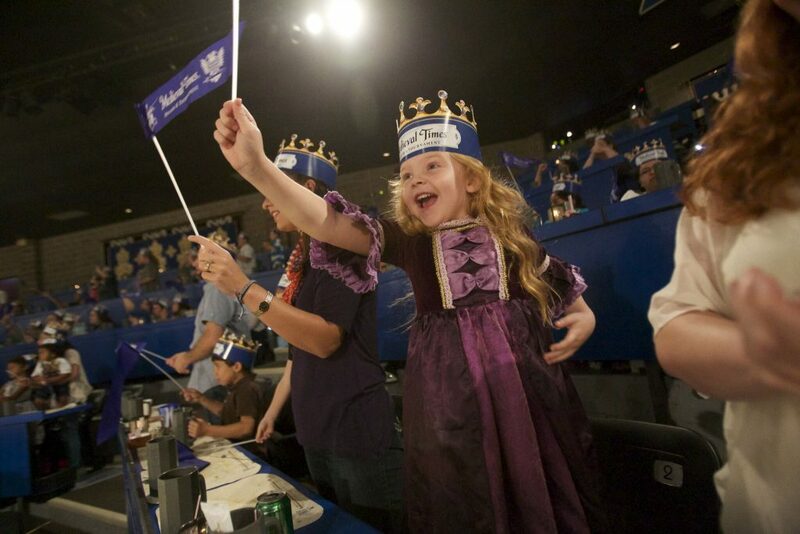 Upon entering the castle, your family is assigned a knight to cheer for! Paper crowns are given for you to wear and your family’s picture is taken with some of the characters in the show. These pictures are later available for purchase if you choose to do so and they are placed in a beautiful Medieval Times commemorative keepsake book. Once inside you are able to enjoy the castle. There is a great fireplace with a roaring fire where you can sit and relax before the doors to the arena open. You can also view lots of different things including weapons, suits of armor, Medieval artifacts, a live bird display and the dungeon. To start the show the Lord Chancellor gathers the crowd before the throne and guests are directed by the Knight’s color to their seats. When the doors open, it is somewhat of a mad dash inside. Do not worry about running in to get the best seat! When you enter the castle, tables are assigned. Just check out your “table” number on the card that was provided. We have been blessed to receive table 1 each time we have visited. Although I do think it is important to tell you that honestly EVERY table is excellent in that arena and I am not kidding! Included in the price of the show is a 4 course, utensil–free meal. This is served during the show, so you are entertained as you eat.. You are served by “wenches” and “serfs” that are terrific! They are very efficient and remain in character, answering every request with “Yes, my Lord“, or “As My Lady wishes“. 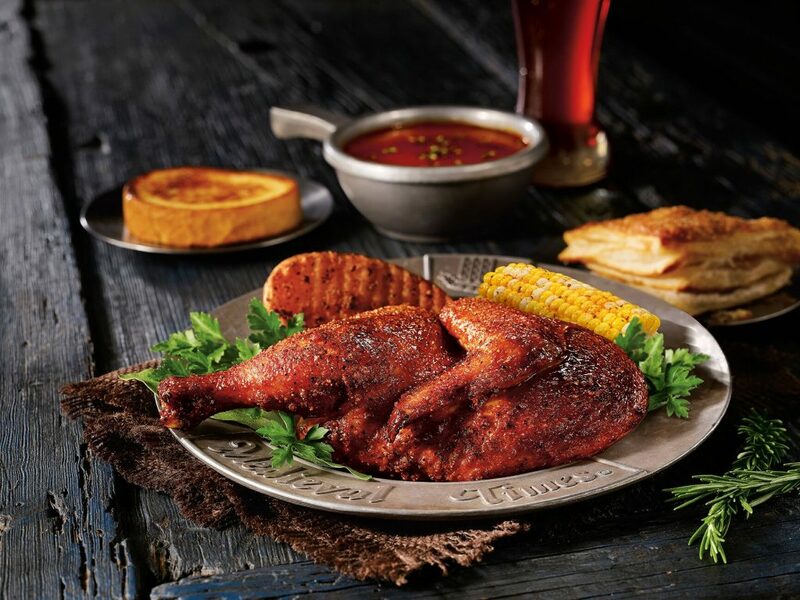 The menu is definitely “fit for a king!” It includes pureed tomato soup, garlic bread, roasted chicken half, BBQ rib, half a potato, & an apple pastry along with beverages. There is a vegetarian option available upon request. They even provide warm wet-wipes after the meal to clean up hands and faces! 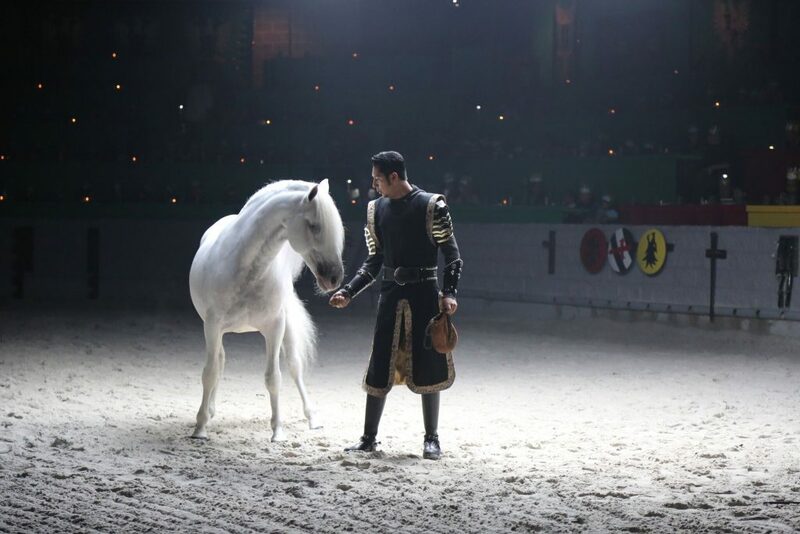 The show provides heart-pounding entertainment, exciting music, beautiful costumes, dramatic lighting, fighting and of course, knights and horses! 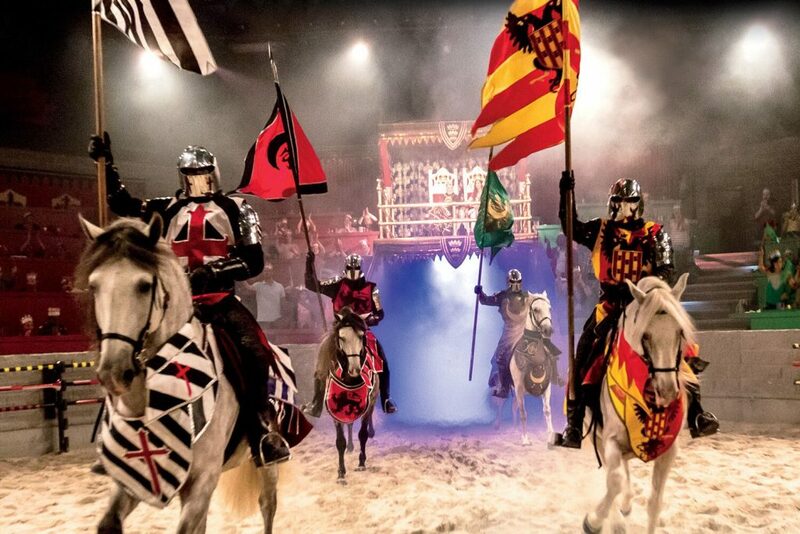 The show delivers audience favorites such as live jousting and sword fights with authentic weaponry and enhanced armor. You will certainly leave this place with a feeling of joy and plan your next visit! 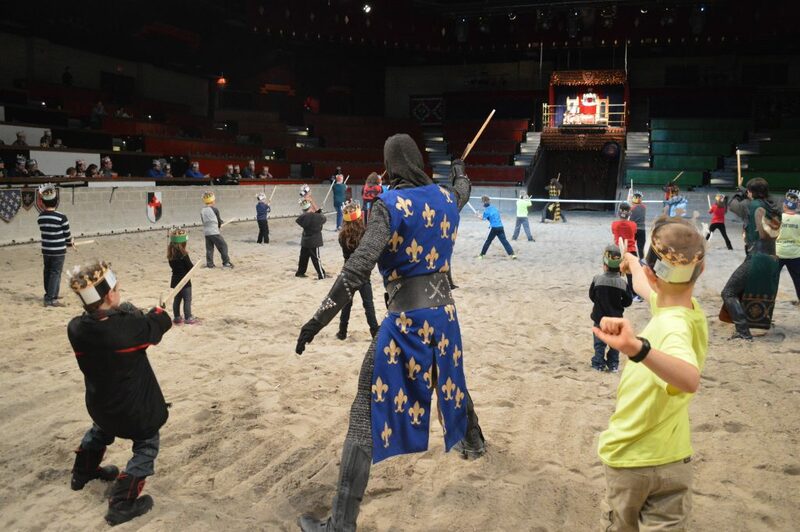 If you are looking for ways to keep your children happy and engaged this Spring Break, then look no further than Medieval Times. 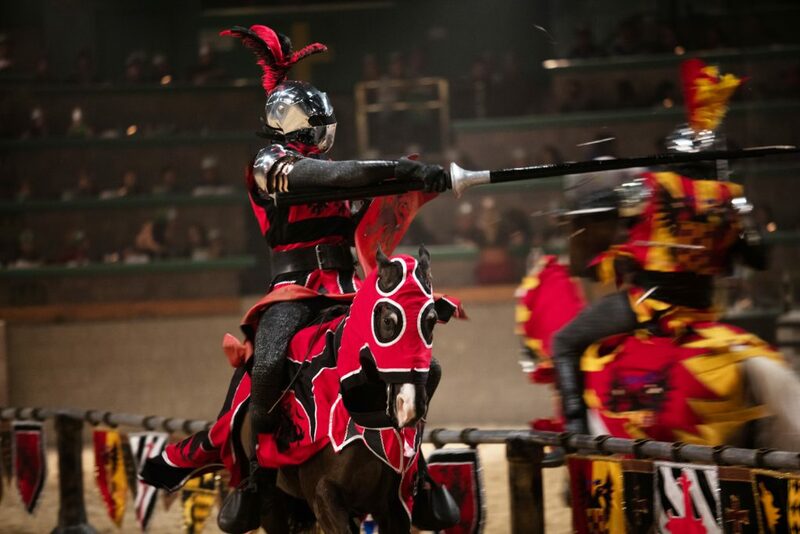 We are pleased to giveaway a family four pack of tickets to Medieval Times. 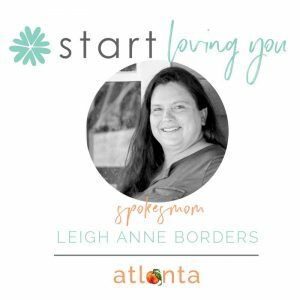 Giveaway ends Tuesday, April 3. I'm actually going soon. Can't wait I'm excited. Will let y'all know how it was. 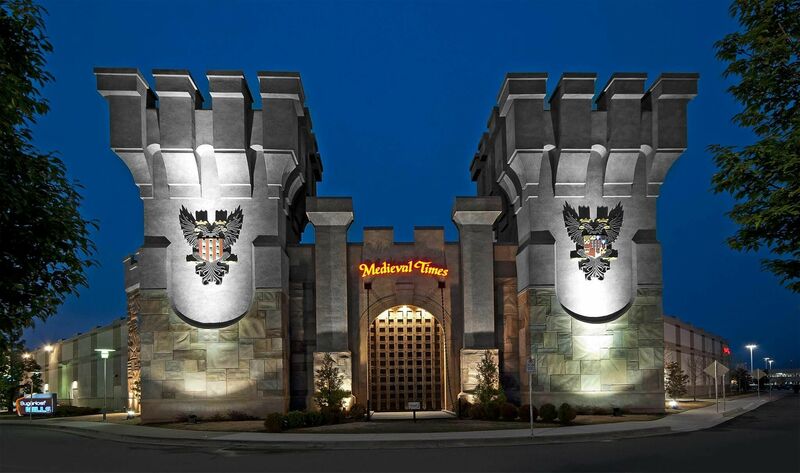 This is the first I've ever heard of Medieval Times - it is so cool! You know it is a kid pleaser, and a sure way for them to enjoy spring break and anticipating it for months! I have never taken my youngest. My older two have been and have always loved it! I think the little guy would love the show if not the food! I always love th falcons the best! Happy spring break! My boys have been asking me to go back to Medieval Times! Spring break woukd be the perfect time to surprise them!!! 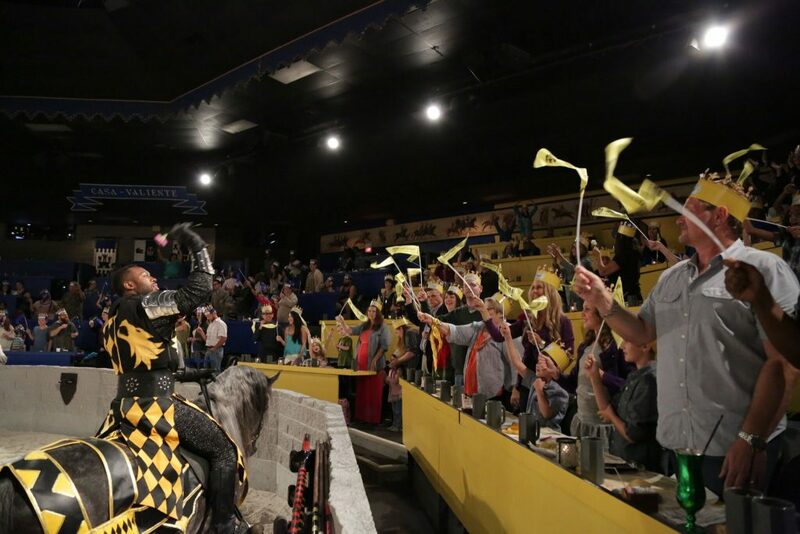 Our family loves the medieval times in Orlando, FL. So much fun!